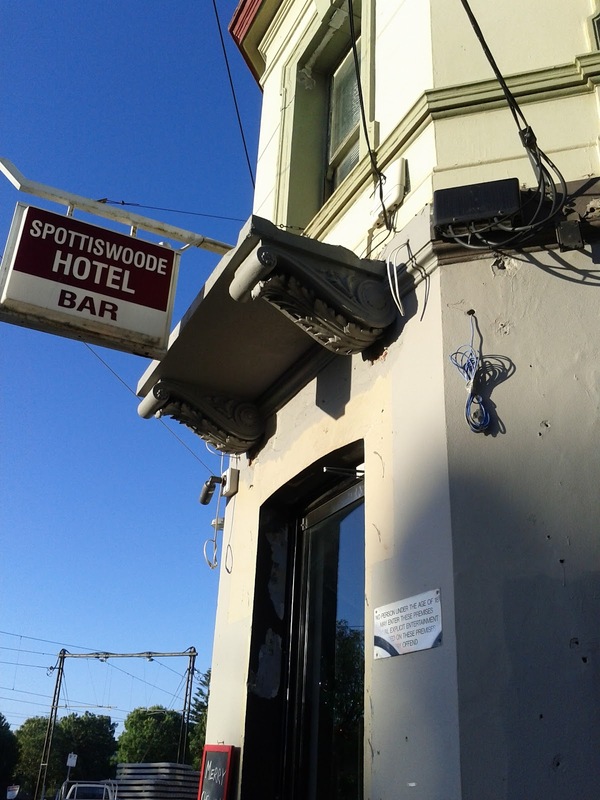 The Spottiswoode Hotel was apparently constructed in 1888 in the Italian Renaissance Revival style. It retains the original name of the suburb, which comes from the family of J.S. Spottiswoode, one of the first farmers who owned land in the area in the 1840's. The pub had become pretty run down before being re-furbished during 2012. The building stands out amongst the surrounded by car parks and building sites and is across the railway line from the local shops. We headed inside and eventually were shown tot he table we'd booked. The interior is now one large space with plenty of tables, lo and high, booths and sofa's. Some of these were occupied but it wasn't packed out. We were served drinks at the table and then perused the menu, which included the Aussie pub standards like parma's, steaks and fish and chips as well as some pasta dishes and a seafood platter. We shared the trio of dips with crusty Turkish bread for entrée, which was plenty for the two of us. 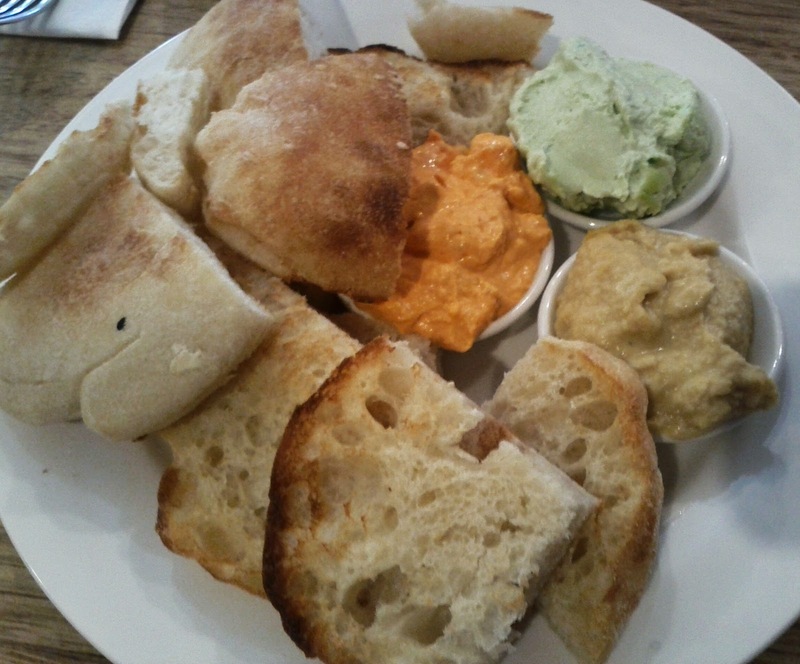 The generous serving of bread was lightly toasted and there was plenty of each of the dips. The spinach and cream cheese combination was a little heavy on the cheese for my liking, but the spicy capsicum and hummus were both good, if a little standard or supermarket style. 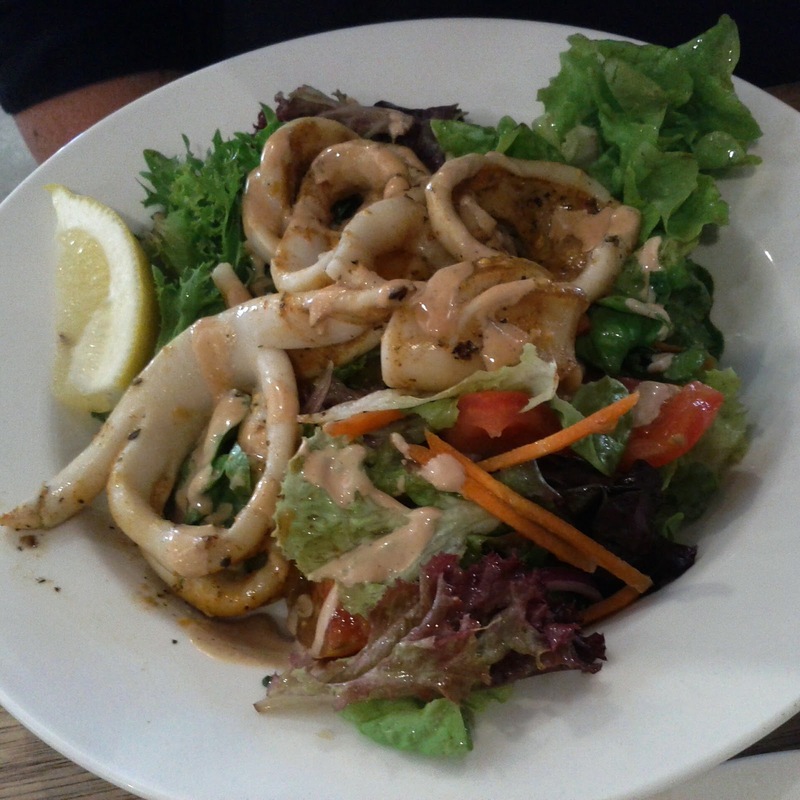 The warm squid salad with garlic and paprika was a massive disappointment to the better half, the calamari had been hacked in to huge chunks and was tough. The dressing didn't enhance the salad, and most of the meal was left uneaten. I had the seafood Linguini, this was also presented in a fairly haphazard fashion and topped off with some old looking parmesan. 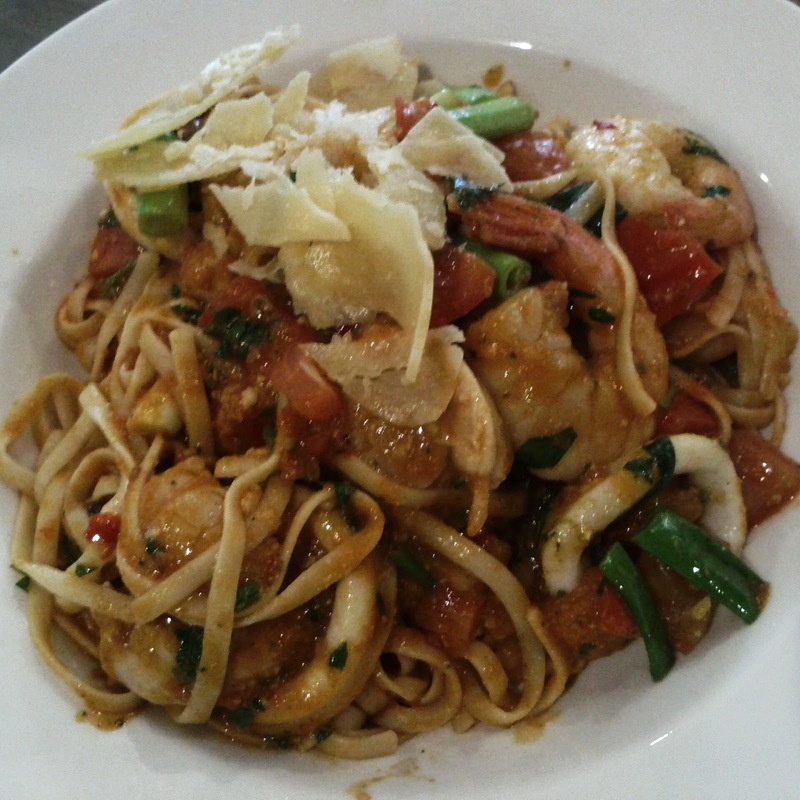 The prawns, scallops and calamari were all cooked well and the tomato based sauce was fine. The service was super fast, the dips were out in a few minutes, followed by the mains before we'd even finished our entrée! A couple of glasses were dropped and smashed on the floor right behind us, as we ate, they were cleaned up quickly, but it didn't add to the atmosphere. The food was reasonably priced and the total bill came to just over $50 including a couple of drinks. We aren't that likely to head back though. We have yet to try the broader menu. But we've returned several times for the $10 Sunday roast - it's a winner!